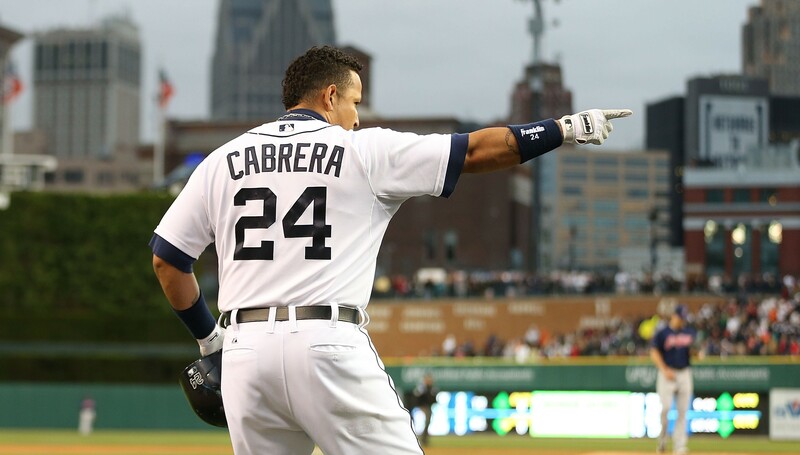 We’re beyond the point where I need to tell you that Miguel Cabrera is having an amazing season. He’s leading MLB in Wins Above Replacement (what is WAR? 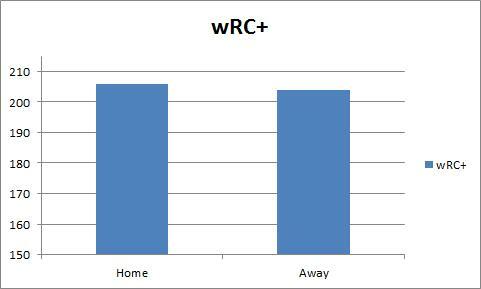 ), wRC+ (what is wRC+), wOBA (what is wOBA? 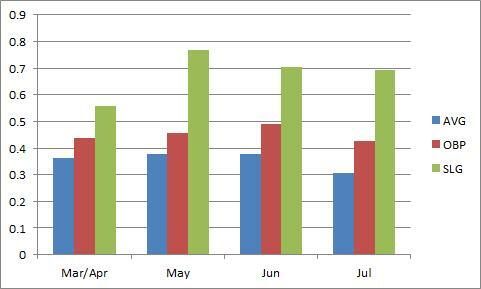 ), batting average, on base percentage, and is 2nd in slugging percentage and is closing fast. At his current pace, he would finish with the 24th best offensive season in MLB history and somewhere around the 25th best season in history by WAR despite having negative defensive ratings. He’s one of the best players of his generation and this is his peak. We’re all clear on this, it’s pretty much established. He’s having the best season of his career and it’s really not even close. 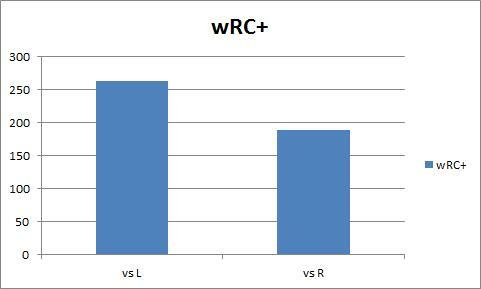 His previous career high in wRC+ was 2011 when it was 177. This year it is 205. That’s quite a bit better, and that’s before we consider that he’s 0.8 WAR from his career high despite the fact that I’m writing this on July 12. Put this way, if Miguel Cabrera played like a fringe starter the rest of the season, this would still be his best season. As I often do, because I’m a junkie, I was digging around in Miguel Cabrera’s splits for this season to find something interesting to write about and there was just nothing there. He’s always good. 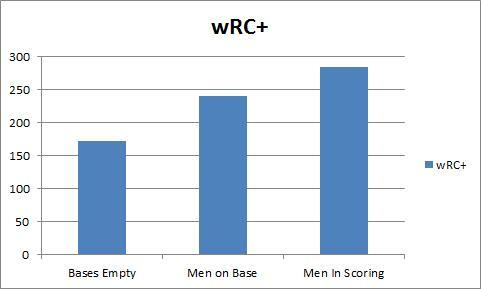 You can’t put Cabrera into a situation in which he won’t excel. But here we are, and he’s still keeping it up. I wrote the other day that players will usually regress to the mean, but Cabrera’s averages were so high that while his current level is Everest high, it’s not so much higher than his past performance that this is something that couldn’t possibly continue. This could be his career year. And what a year it is. 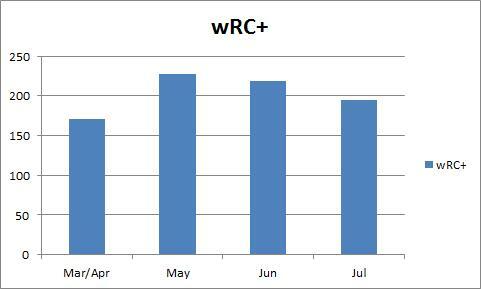 He’s probably not going to have a 225 wRC+ season, but it’s not like his bad months are anything at which to sneeze. We’re talking about a guy having an all-time offensive season and there are simply no signs that it isn’t sustainable. His BABIP (what’s BABIP?) is high, but it’s always been high and he’s already had a season in which he finished with this exact BABIP, .379. He has 30 homeruns before the All-Star break. 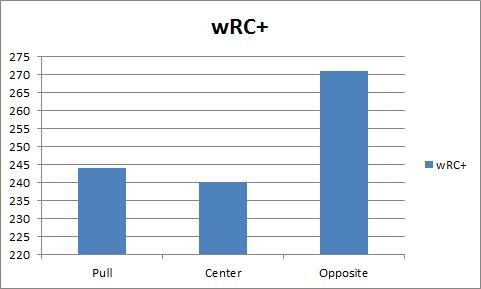 Miguel Cabrera is pretty much good to the point where it’s hardly interesting. Earlier in the season, I looked at how you might try to get him out and the results weren’t good for AL pitchers. Cabrera is having his best season and there are no holes in his offensive game. He’s on pace for an all-time great season and he’s not slowing down.